There may be several reasons as to why you want to feed homemade food to your cat and sensitive stomach may be one of them. Some cats may show signs of a sensitive stomach such as vomiting or diarrhea. Refusing to eat or constipation are signs of a sensitive stomach too. There may not be very comfortable with the packed foods which are causing them trouble. It is important to get a vet’s opinion before you jump to any new diet for your feline friend. Homemade foods will contain ingredients which are good for your cat as in not causing him any problems. These ingredients are easily digested by a cat’s system compared to the packed foods. The ingredients should very carefully be chosen keeping in mind how your cat’s body will react to it if she has a sensitive stomach. Also, while choosing a diet you look into the nutrients it is proving your cat. The chances of the diet being nutrient deficient are high. Striking the right balance between vitamins and minerals is the key. Cats need protein, amino acids, fatty acids, vitamins, minerals and water in the right quantity. Carbohydrates in small amounts should also be included. Some common ingredients for a sensitive stomach diet are egg protein, rice, oats, wheat, chicken, and turkey. These ingredients are magical as they help with the digestion process. They contain fibers which pass easily in the stomach and are easy to digest. If the cat continues to show some discomfort after the new diet it’s time to start eliminating ingredients one by one to see which ingredient does not suit the cat’s stomach. Also, make sure that your cat does not have any access to table scraps which may include ingredients that do not suit your cat. It is important to make sure that while switching from one diet to another you introduce the new diet gradually. You can mix the old and the new diet and then switch to the new one. If the change is too abrupt, the cat may not adapt too well. Here are some foods which should not be fed to your cat, especially if he has a sensitive stomach. 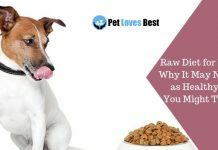 Dog food- Feeding dog food to your cat is absolutely a bad idea as it contains insufficient protein and fatty acids and may lead to severe malnourishment. Liver or tuna- Though liver is considered healthy, too much of it can cause deformed bones and osteoporosis. Large quantities can also cause various poisonings or Vitamin A toxicity. Cow’s milk- A cat’s digestive system is not made to digest cow’s milk. If your cat’s tummy is sensitive, it might not be the right choice for you. Feeding cow’s milk leads to upset stomach and diarrhea in the cats. There are some recipes of homemade foods which can be followed if your cat has a sensitive tummy. Here are some. Put several tablespoons of chicken broth along with all the ingredients in a food processor and puree them. Add more broth to make it smooth. Make sure it is not too soupy. Serve the food when it cools down to room temperature. In a frying pan, brown and drain the beef. Let it cool. Mix all the mentioned ingredients in a bowl. The dinner is ready to serve. This is a recipe for homemade treats for your cat. Remember these are treats and cannot be substituted for real food. These were a few easy recipes for your cat which are easy to cook and healthy. It is a quick healthy alternative. Make sure the new diet has all the sufficient nutrients and is healthy. It is also recommended that the change in the cat’s diet is very gradual. Try mixing the new diet with the original food and see how it works for your cat.